Courtesy of William Larsen, Alpine Realty. Fabulous large estate parcel in Mt. Shasta. Just a short drive from Mt. Shasta’s village you’ll find this one of a kind enchanted forest boasting lot of wildlife, acres of conifers, deciduous and dogwood trees. Many great building sites and lots of private walking trails. If you’re looking for peace and serenity in the Mt. Shasta area then you’ve found it! A paved driveway meanders through the woods to one of the building sites where the well is. Call today for a private tour or for maps to take your own self-guided tour. Please, send me more information on this property: MLS# 112512 – $329,000 – Parcel 3 Deetz Road, Mt Shasta, CA 96067. 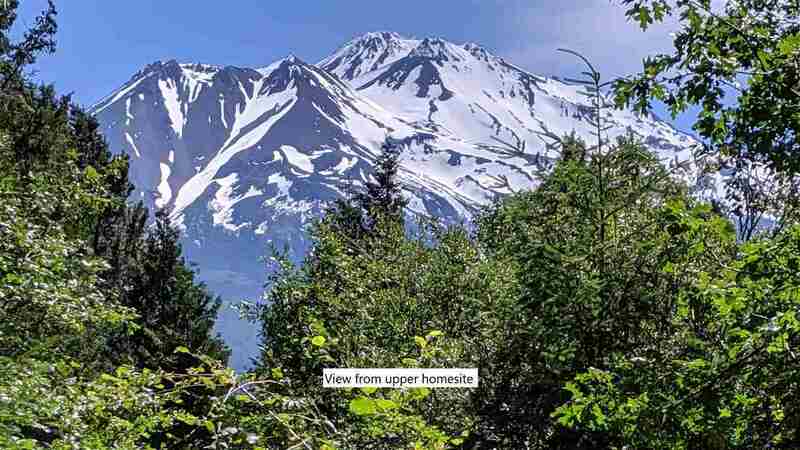 I would like to schedule a private showing for this property: MLS# 112512 – $329,000 – Parcel 3 Deetz Road, Mt Shasta, CA 96067.